Small businesses face some branding challenges that larger businesses don’t need to deal with. Challenges like budget. Time. Having the in-house talent to put together stunning brand guidelines and logos. Even though small businesses sometimes have challenges related to lack of resources, there are also a few key advantages you have when branding a small business. First, big brands have dozens of decision makers. If you do branding for big businesses, you can make it most of the way through to process only to get shot down at the very end. Having a lot of opinions in a room can also lead to ideas that are “polished” but not interesting. Second, small brands have personalities. It’s hard for a large brand to have a personality—a multinational company has trouble sounding like a friend sitting across from you in a bar. It just doesn’t feel as believable. With all of that in mind, how can small businesses create brands that stand out? 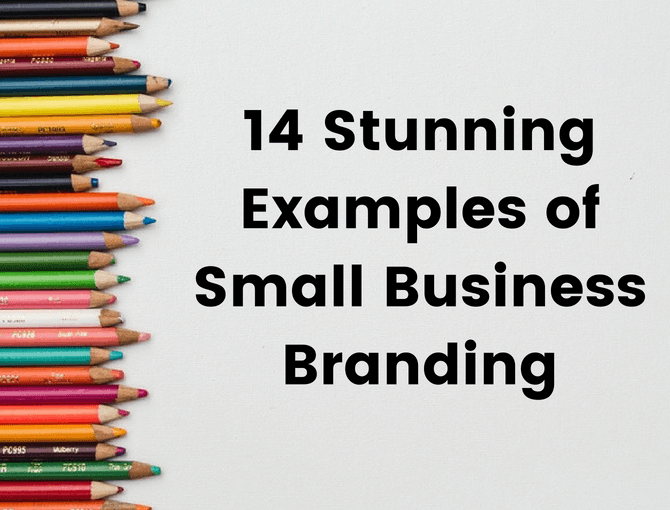 Here are 14 of our favorite examples of small business branding. Head over to their website and you’ll see the Death Wish brand front and center. Billed as “The World’s Strongest Coffee,” Death Wish plays up the “death” angle with their simple but evocative design. Death Wish’s stellar branding and positioning comes from deep audience research. By studying their customers, Death Wish realized that there was an entire segment of the coffee market that doesn’t especially care about taste—they just want to feel awake. Death Wish’s success has made them a classic marketing example, and even won them an ad in the Super Bowl. Be bold. This isn’t “gives you some energy” coffee. It’s Death Wish. Choosing a bold, evocative name helped define the Death Wish brand positioning. Be known for something specific. 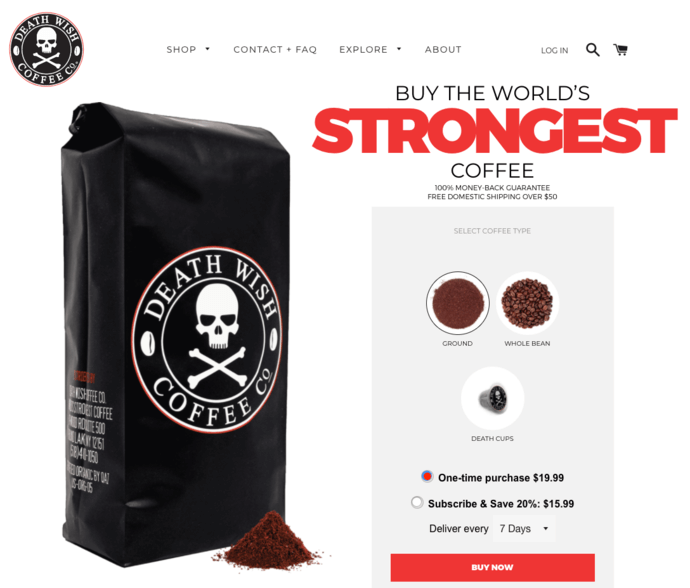 If you heard about the “world’s strongest coffee” and mostly drank coffee for the caffeine, wouldn’t you choose Death Wish? Simple = memorable. One powerful message helps Death Wish stand out in people’s heads. Known for 16oz beers that come in four backs, Surly Brewing Co. manages to stand out in an industry that prides itself on creativity. 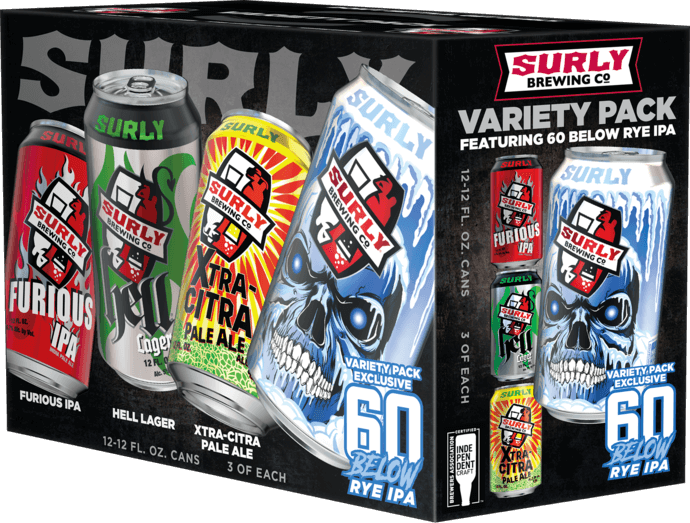 The craft beer market is flooded with good beer and good beer names (read: puns), but Surly manages to stand out by looking different. When you browse the shelves at a grocery store, Surly catches your eye. It comes in cans—big cans. It comes in four packs. It’s artistic style is drastically different from the products it shares a shelf with. That’s the genius of the Surly brand—it stands out. Stand out visually. The Surly design is creative, bold, and colorful. It stands out among otherwise similar-looking products (LaCroix is another good example of this). Look for something different. Most craft beer comes in a bottle. By packaging its beer in cans Surly took the risk of being associated with lower quality lagers—but the risk paid off. Few small businesses are famous enough to have a fleshed-out Wikipedia article. The Wieners Circle is one of them. 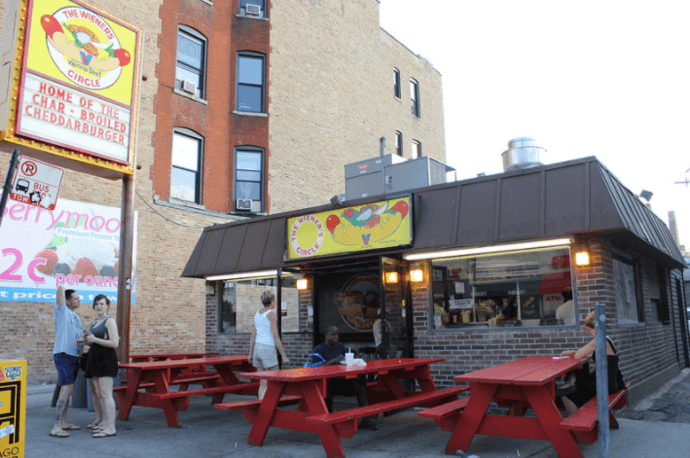 A classic Chicago fixture, the Wieners Circle’s unique brand is only partially because of its yellow sign. It’s not uncommon to hear playful insults being tossed from employee to patron—and this is part of the appeal that lead to an appearance on This American Life and other media. The Wieners Circle is an outstanding example of small business branding not because of stunning creative, but because of how personality can elevate a small business to the status of a cultural staple. Have a personality. I once watched a customer at the Wieners Circle ask to be insulted. A strong personality helps you stand out. Don’t be afraid to take risks. The Wieners Circle sign often has political statements on it—and they can get a bit out there. But the risk of alienating a small segment of customers is outweighed by the loyalty built with others. Imperfect Produce is a food startup that began after a successful Indiegogo campaign in 2015. The company takes food that’s too “ugly” for grocery stores and sells it at discount prices. 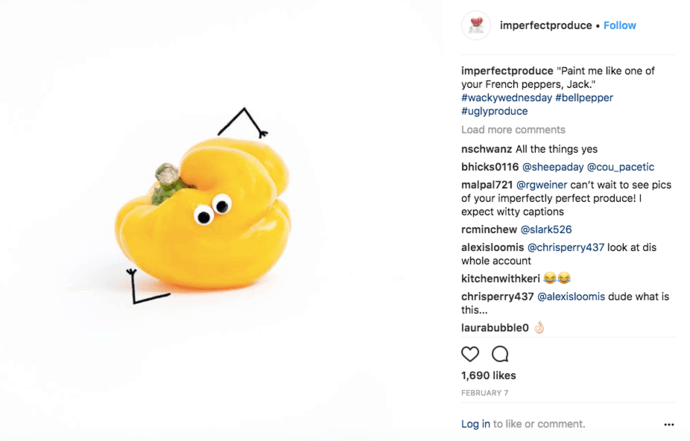 Imperfect Produce has had a great deal of success in spreading their brand through Instagram. Their branding is simple: stick googly eyes on misshapen vegetables. It’s a simple concept, but how could you say no to that little guy? Make a flaw into a benefit. Imperfect Produce products are a little ugly. That might have made them harder to sell—so the company decided to turn misshapen vegetables into lovable, googly-eyed rogues. Connect to a broader message. Ultimately, Imperfect Produce fights food waste. 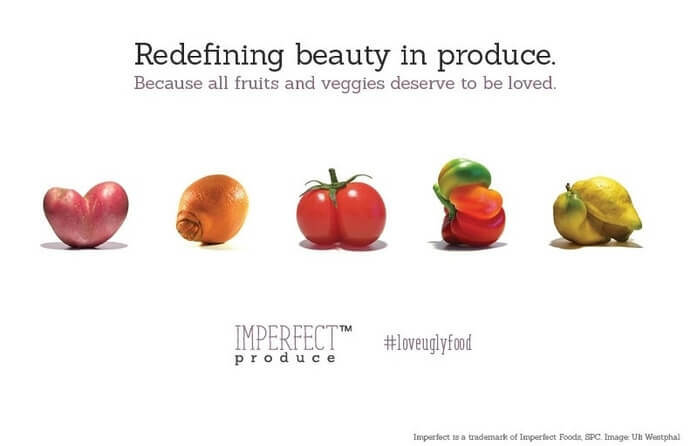 That brand story is powerful, and makes signing up for Imperfect Produce almost a no brainer. With College Hunks Hauling Junk, what you see is what you get. 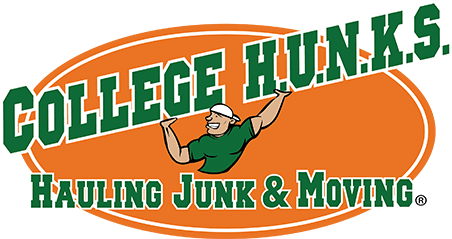 What’s great about the branding behind College Hunks Hauling Junk is that it’s incredibly simple. The name is descriptive. The logo supports the message of the name. And, crucially, it sticks in your head. When you’re driving past a truck, you probably don’t normally give it much thought. But if you drive past a truck with this orange and green logo emblazoned into its side, you remember it. Who will you call the next time you move? Stick in people’s heads. College Hunks Hauling Junk is easy to remember. Partially because it rhymes, partially because it’s so easy to picture. Put your brand where people will see it. The trucks for CHHJ are brightly colored and have the logo on the side. Every pickup and junk haul is free advertising. Do you want skin care, or do you want platinum skin care. Everything about the Platinum Skin Care name and creative communicates luxury. Elegance. From your first glance of the silver and black, you assume that this is a company with excellent products. Platinum Skin Care is also an ActiveCampaign user—we featured their story in this video case study. Go for emotional impact. 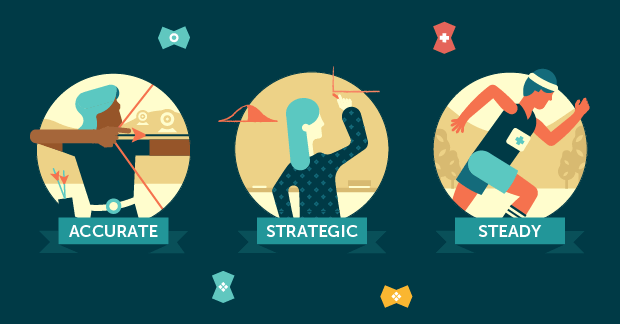 What emotions does your brand evoke? Platinum evokes luxury because Platinum Skin Care is selling luxurious products. If you were a skinny guy looking to build muscle, where would you turn? 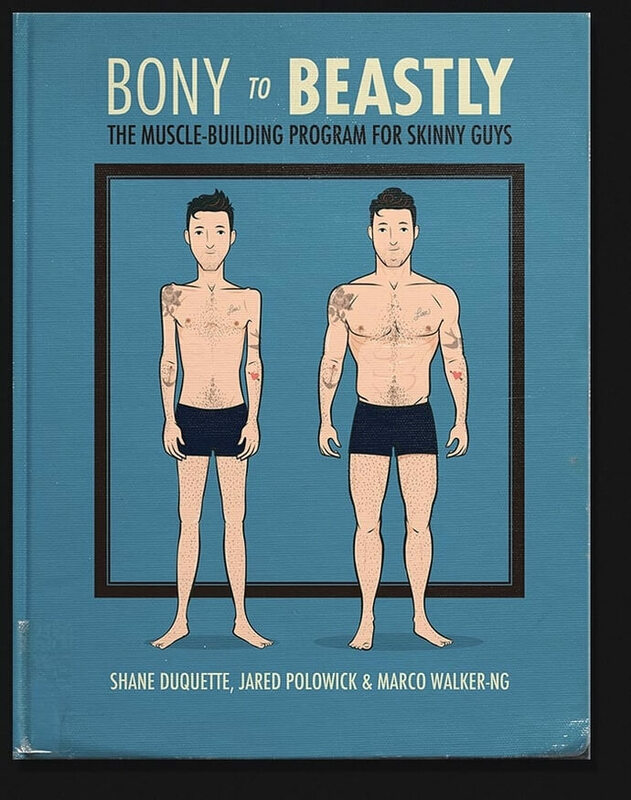 One place you could go is Bony to Beastly, an online business that helps people build muscle. What makes Bony to Beastly such a compelling example of small business branding is that it instantly communicates a key benefit. Before Bony to Beastly hit the scene, there weren’t that many resources out there on this subject. The creative of Bony to Beastly is simple, but it communicates a compelling message quickly. Visuals can tell stories. A picture of a skinny guy next to a buff guy tells the entire story of Bony to Beastly. The viewer understands it in seconds. A simple message sticks. Bony to Beastly doesn’t also help people lose weight. It isn’t for hobbyists. It has one message that’s easy to remember. If you’re not a wine enthusiast, or are just looking for new wines to try, check out Vinome. The company analyzes your DNA, to figure out what flavors you’re genetically predisposed to love. Then it sends you wine based on your unique tastes. Step 1: Put in your email address. Step 2: Get our best marketing advice in your inbox once a week. Now that you know the concept, take a look at that logo! The double helix, DNA corkscrew is brilliant—I was disappointed that they don’t sell an actual corkscrew in that style. Industry affects brand. Wine is usually considered “high class.” Vinome offers a new twist (pun intended) on wine, but it still reflects the “classiness” of the overall industry. Show what makes you different. DNA is in Vinome’s DNA. So they also put it in their logo. 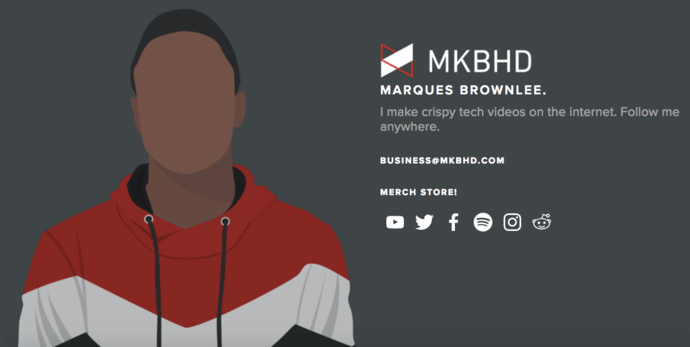 Marques Brownlee, better known by his YouTube name MKBHD, posts high-quality video tech reviews. Little known fact: he’s also a pretty good ultimate frisbee player. Brownlee’s exact logo varies slightly across his social media platforms, but it always sticks to a consistent red, black, and white theme. He’s widely regarded as one of the best tech reviewers, and sometime posts in-depth reviews on the same day as a product release. His logo reinforces the casual, cool, cutting-edge nature of his tech content. Go with your industry. Reds, blacks, and sharp lines can communicate the cutting edge. MKBHD reviews cutting-edge products, so he goes with those colors. Choose something slightly weird. MKBHD doesn’t just make tech videos. He makes “crispy” tech videos. That’s adjective is just weird enough to make readers pause, without being so weird as to turn them away. Their branding supports this mission. With clean, simple creative, it communicates that “brain training” doesn’t need to be as strenuous as it sounds. Your brand can show what you do. Lumosity makes brains better. So their brand has a lot of brains. Make things sound fun or easy. “Brain training” could easily sound exhausting. But Lumosity makes it sound fun. If you offer something hard, look for ways to make it feel easy. Have you ever wanted to be a mermaid? Finfolk Productions makes it happen. 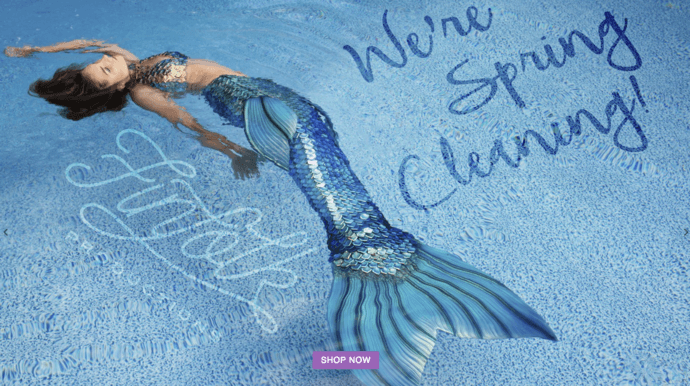 A colorful brand with a vibrant Instagram presence, Finfolk Productions sells…mermaid tails. 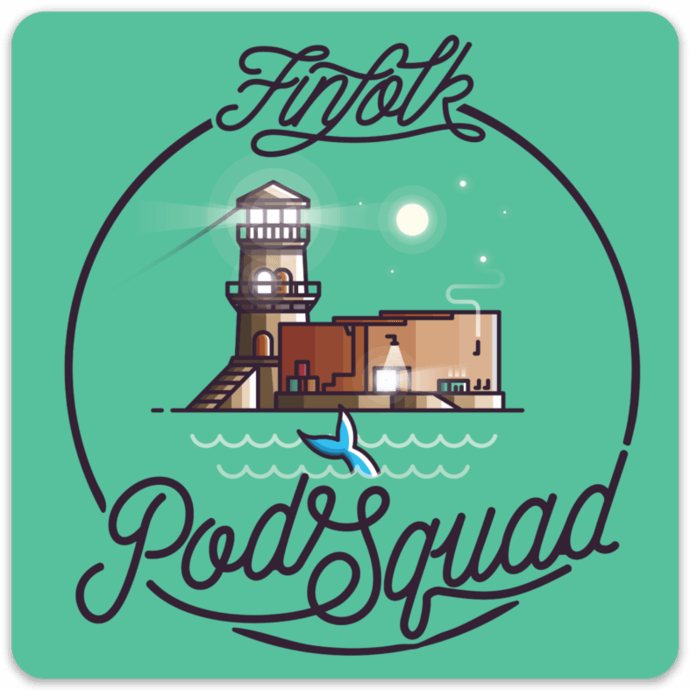 It’s an unusual product, but the colorful art style and clever “pod squad” membership help you imagine what it would be like to live under the sea. Color pops. Finfolk’s products are colorful and so is their brand. Color stands out and makes people take notice. What you sell isn’t always “useful” (even if it is). What’s a mermaid tail good for? Maybe parties or events. But instead of focusing on that utility, Finfolk highlights the feeling of looking like a mermaid. When you can make your product look beautiful, showcase your product. 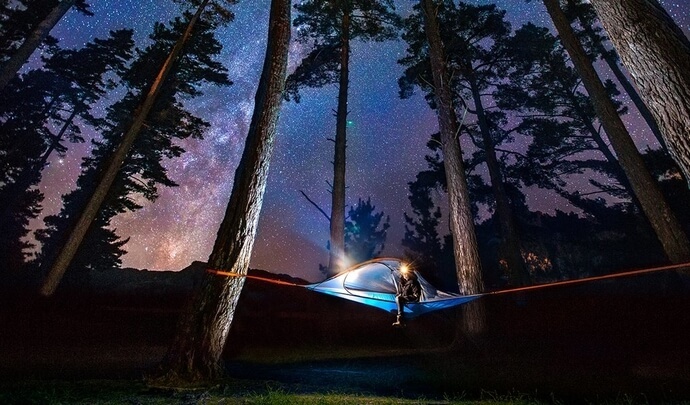 Tentsile is a company that produces a lightweight tent that’s suspended off the ground like a hammock. Its logo, above, shows a simple demonstration of how the product works (suspended between three trees. The creative on the Tentsile website and Instagram shows the product being used across a range of beautiful landscapes. These incredible visuals make it easy to imagine yourself using the product. They sell an idea of the kind of person that goes to these places, and builds the Tentsile brand. Connect to a lifestyle. Looking at Tentsile’s creative identity gives you a sense of what it feels like to live a particular lifestyle. Activate an emotion. High def visuals and killer product shots evoke a sense of awe. That’s the beginning of the copy on the By the Way Bakery website. 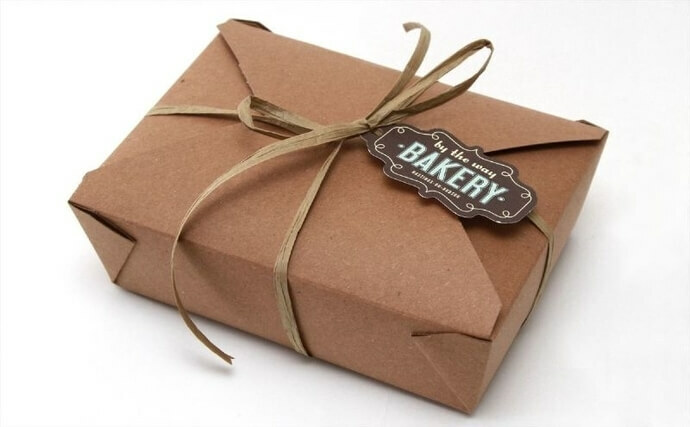 The bakery bills itself as “an old-fashioned bakery where everything is made by hand, from scratch,” and sells gluten free baked goods that are apparently indistinguishable from their gluten-filled counterparts. What I love about the By The Way Bakery branding, aside from the fact that it’s located in my home town in New York, is that it’s simple. There are no bright colors. It doesn’t catch the eye. The takeaway boxes are mostly brown. But that’s actually part of the Bakery’s charm. Its branding may be filled with brown, but its a rich brown like aged wood—exactly what you would expect from old-fashioned, homey bakery. Make people feel things. If you can associate your brand with a powerful emotion (in this case, nostalgia) you can get people to think of you when they feel that emotion. Color doesn’t need to be bright to be effective. Brown should be boring, right? By for By The Way, it’s exactly the color that matches the brand identity. Prodjuice decided to go with a simple creative style, and with good reason—the colors of its juices are stunning all on their own. Highlighting bright orange and red juices with the tagline “cold pressed juice” paints the picture of health, simplicity, and calm. Simplicity = quality. Simple and elegant is often associated with high quality. 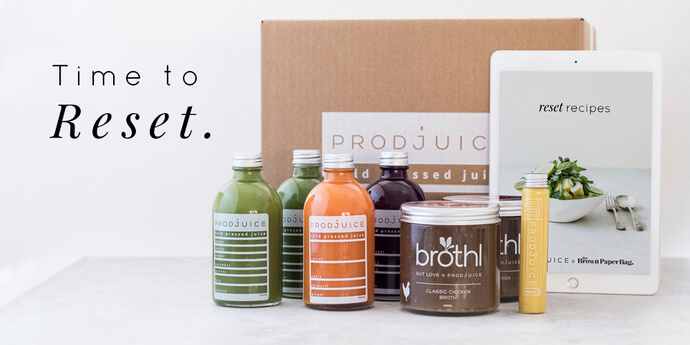 Juice is a product that sounds “pure” and natural, so Prodjuice packaging looks simple and clean. Highlight your product. The color in Prodjuice creative comes from the product itself. If you have a stunning product, showing it can be highly effective for your brand.